Take care to select both the proper thread type and pipe material before choosing a die. 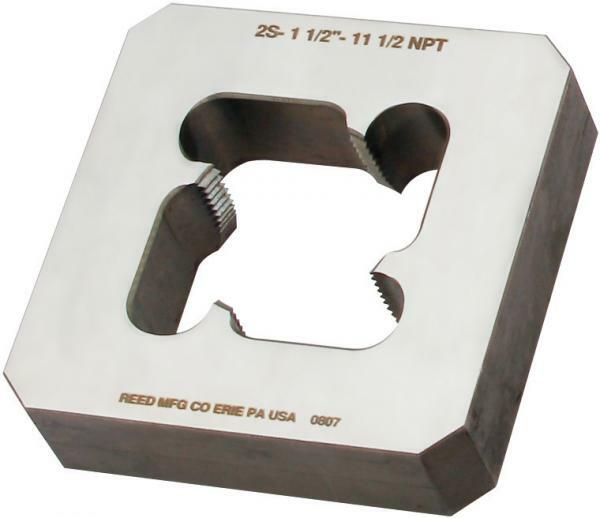 Reed’s block dies thread both carbon steel and stainless steel with no die change required. Produce the most precise thread of any die. The double-threaded throats literally pull the die onto the pipe making it easy to start threading.